deployment. 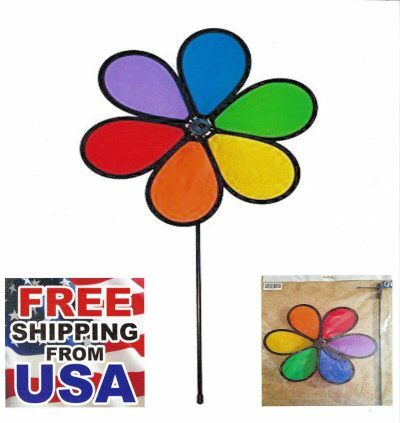 I was just a kid and don’t remember all of the details (it would be nice if I did) but after reading the Sunday comics, dad mixed up a concoction of flour and water to make some past, trimmed a couple of lumber yard measuring sticks, and cut up the funny paper; we made a kite. Needless to say, this is a very fond memory. Kites and kiting represent endless opportunities for making memories. As I prepared to write this months blog post, I gave thought to that magical summers day. Then I did a bit of research and found this fascinating Chinese video that transported me back in time. My dad had spent some time in China just after WWII. Did he learn to make kites there or was the skill the product of childhood spent in the depths of the Great Depression? Obviously a newspaper kite won’t have the longevity of one that has been professionally designed and manufactured. Still, the homemade kite is a great way to introduce children to the exciting world that is kiting. To further ignite that passion, stop by Tumbleweeds & Tarantulas and check our our inventory, and ask some questions from our knowledgeable staff. 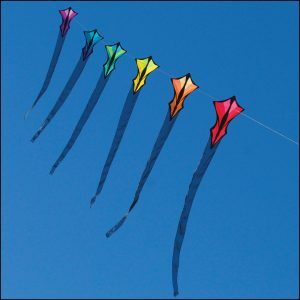 Another fantastic way to get children involved, and make it a family adventure is to attend a kite event. 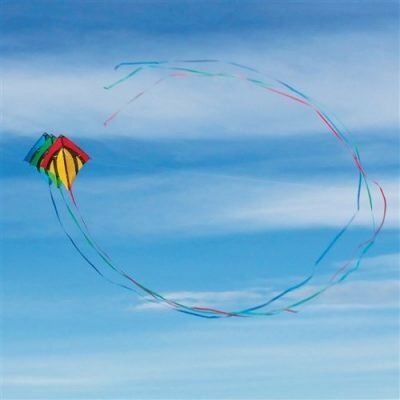 Every May, for 28 years, the Kingman Daily Miner has sponsored a Kite Flying Extravaganza in Kingman. 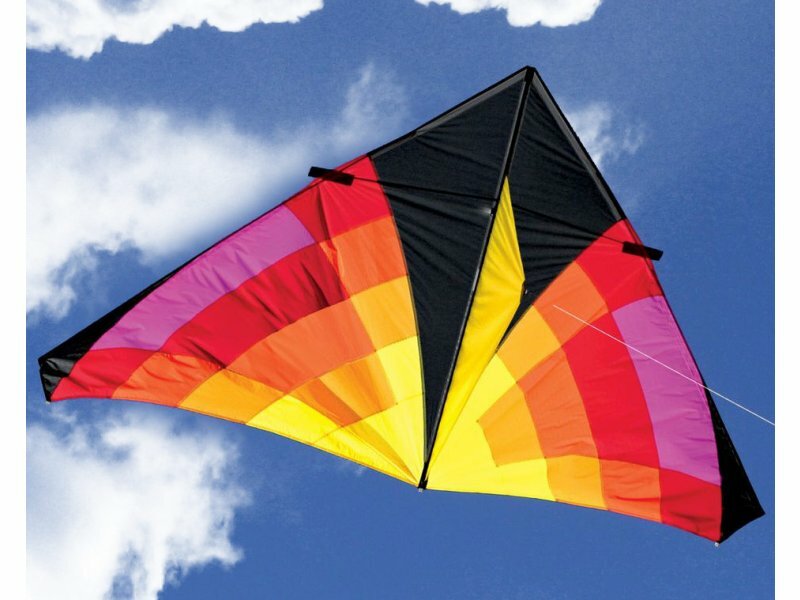 And if you want to include kites with a memory making road trip adventure, the America Kite Fliers National Convention takes place this October in Shreveport, Louisiana. 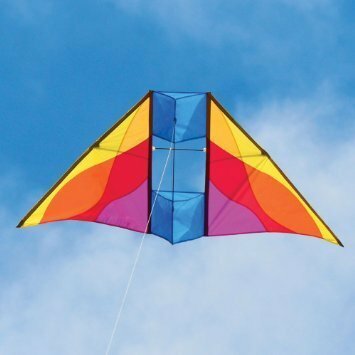 Here is a link for a calendar of kite events throughout the United States. 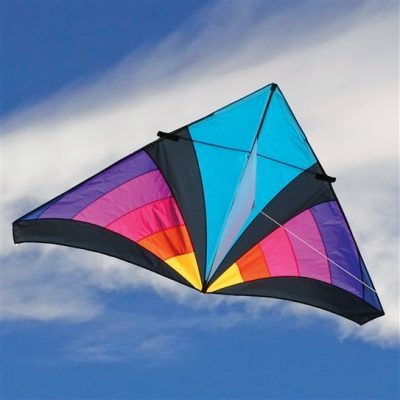 Of course, kites are not just for kids. The Adelaide International Kit Festival in Australia attracts enthusiasts from throughout the world, and attendance is counted in the tens of thousands. And if you want to really see a kite extravaganza set your site on the International Kite Festival, a multi city event that centers on Gujarat, India. To give a bit of perspective about the size of the event consider this. During the week of the festival week in the Patang Bazaar in Ahmedabad kite buyers and sellers swarm the markets that are open 24-hours per day, and buyers as well as sellers negotiate bargains on bulk sales of kites. Many residents of Ahmadabad make kites at home and then setup small stores in their own homes. The Kite Museum located at Sanskar Kendra in the Paldi district of Ahmedabad that was established in 1985 becomes a major destination during the event. I must admit, it has been quite sometime since I watched a kite dance over the dunes, or chased a kite dancing on a spring breeze. Perhaps it is time to rediscover a bit of my childhood. Perhaps I should give my dad a call, and then get a Sunday paper and make some memories with the grandchildren. Perhaps I need to pay a visit to Tumbleweeds & Tarantulas.